At the Geelong Youth Choir, each song we teach is carefully chosen to offer young singers a diverse repertoire of quality music. Through singing choristers learn the language of music. How to read it, understand it, perform it and how to create their own music using the skills and knowledge obtained. While the repertoire is strongly focused on music education, there are many other positive benefits gained. Choral singing encourages creativity and teamwork, whilst building confidence and self-esteem. 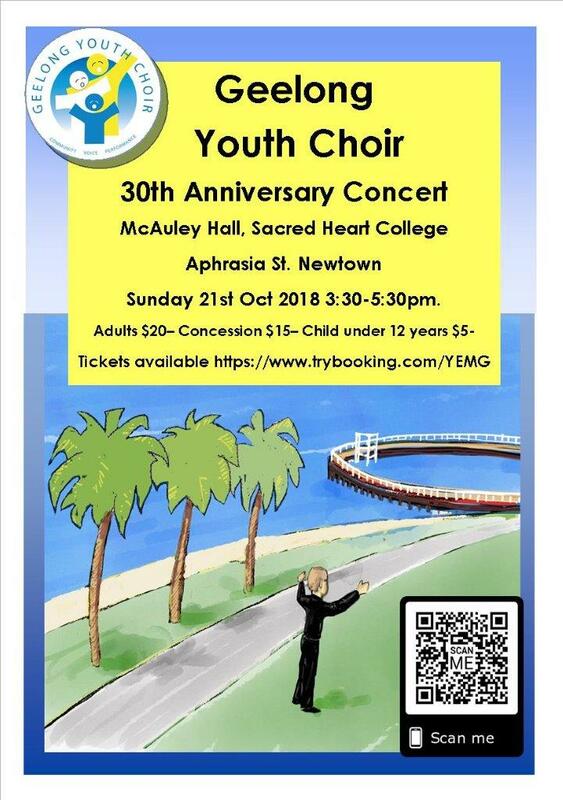 The Geelong Youth Choir has been teaching the young people of Geelong since 1988, when the choir was founded by Mrs Eileen Martin. The Geelong Youth Choir was founded as the Geelong Children’s Choir in 1988 by Eileen Martin. Its aim was to provide young people with a sound music education through choral singing excellence. Over the years, the choir has achieved many successes in competition, and has performed in concert with Victorian, interstate and overseas choirs, including the internationally acclaimed Tapiola Choir from Finland. The choir was also selected to compete in the prestigious Llangollen Festival in Wales. The choir has toured throughout Victoria, New South Wales, South Australia, Tasmania, and New Zealand. The choir has established a fine reputation in Geelong for providing professional training and for being a caring and friendly organisation which helps prepare young people for the future. The Geelong Youth Choir is a community choir and welcomes young people from all walks of life. All classes are held in Highton during school terms. Ph. 0414 806 228 for more information.